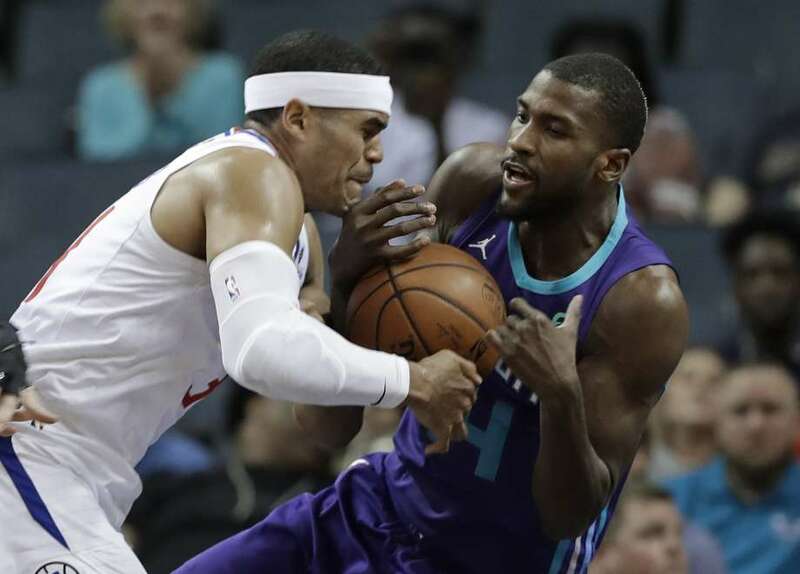 CHARLOTTE, N.C. — Still not quite healed from a shoulder strain he suffered last week, Tobias Harris came up big for the Los Angeles Clippers. Charlotte had a chance to tie or take the lead on its last possession, but struggled to inbound the ball and Marvin Williams’ 3-point attempt at the buzzer was short. Beverly’s loose-ball foul with 21.1 seconds left put Marvin Williams on the line for Charlotte. Williams hit both to tie it at 115. Walker, held to 13 in a Clippers win this season, had 25 by halftime — but just seven in the second half. The Clippers kept the ball from getting anywhere close to him for the final shot. Clippers: Los Angeles held Walker to 13 points in their first matchup this season, a 128-109 win. Walker scored 25 on 8-of-15 shooting (4 for 6 on 3s) in the first half Tuesday. … Danilo Gallinari (back) did not play. … The Clippers’ third-period woes continued as they were outscored 34-31. Hornets: Center Cody Zeller, who missed 16 games after surgery on his right hand, entered the game at the 6:43 mark of the first period with a small brace on his hand, but didn’t wear it in the second half. He finished with 11 rebounds. … Tony Parker left after 9 minutes on the court with a back injury and didn’t return. . Marvin Williams tied a career high with four blocked shots. The Clippers kept a gaudy 3-point shooting percentage throughout and it didn’t fade away late. Late in the third, it was 77 percent. Late in the first half, Walker picked up a loose ball on the Clippers’ end. Teammate Bismack Biyombo fell to the court also the ball. Walker, with the ball still in play, helped Biyombo up before turning up court on the dribble, prompting a surprised smile from Biyombo.